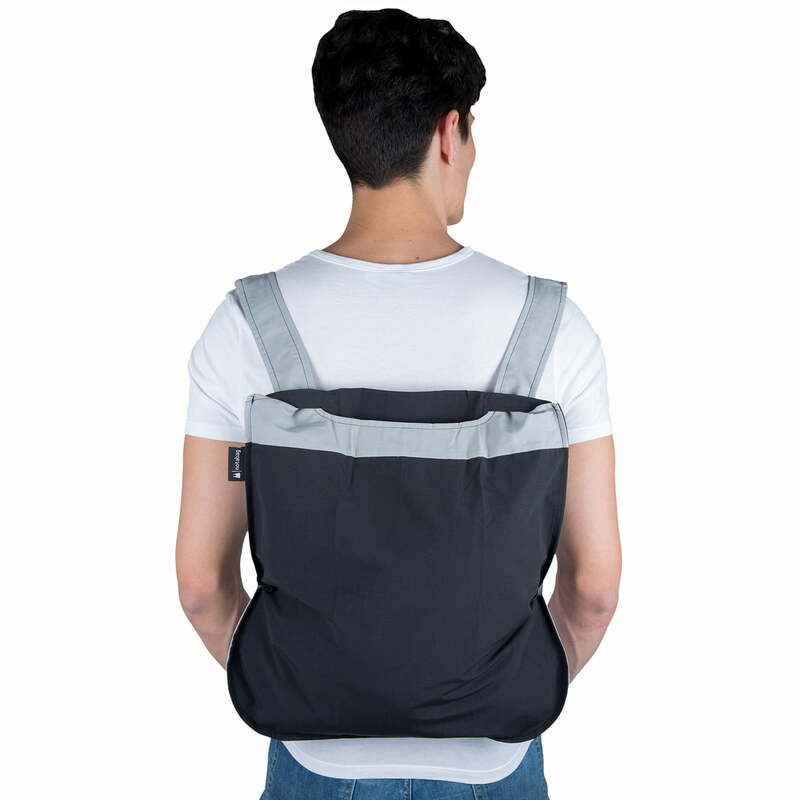 Notabag – the smart combination of bag and backpack. 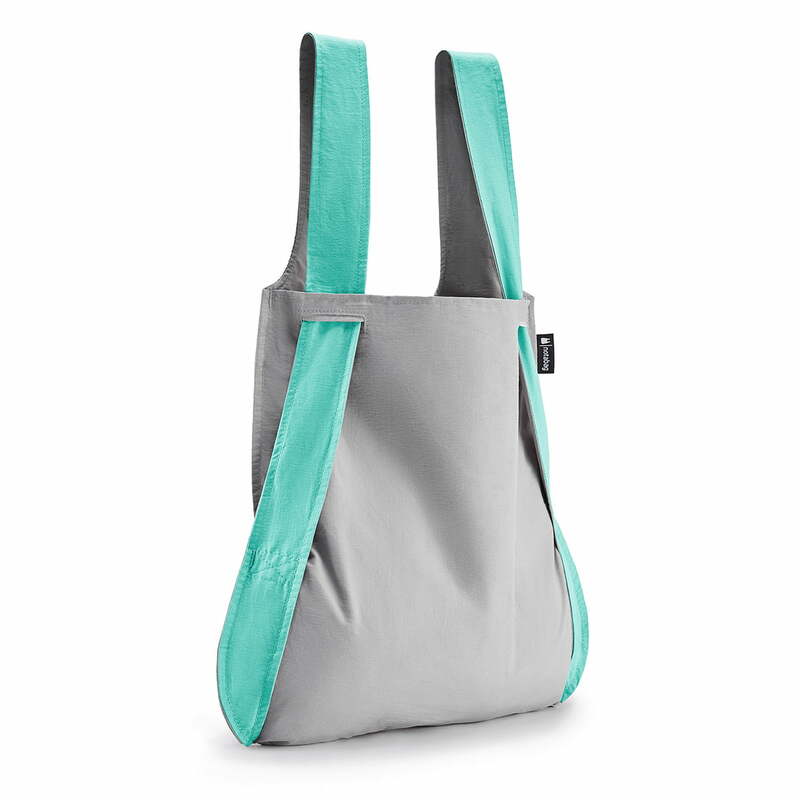 With a single pull on the straps, it transforms itself from an innovative carrying bag to a handy backpack. 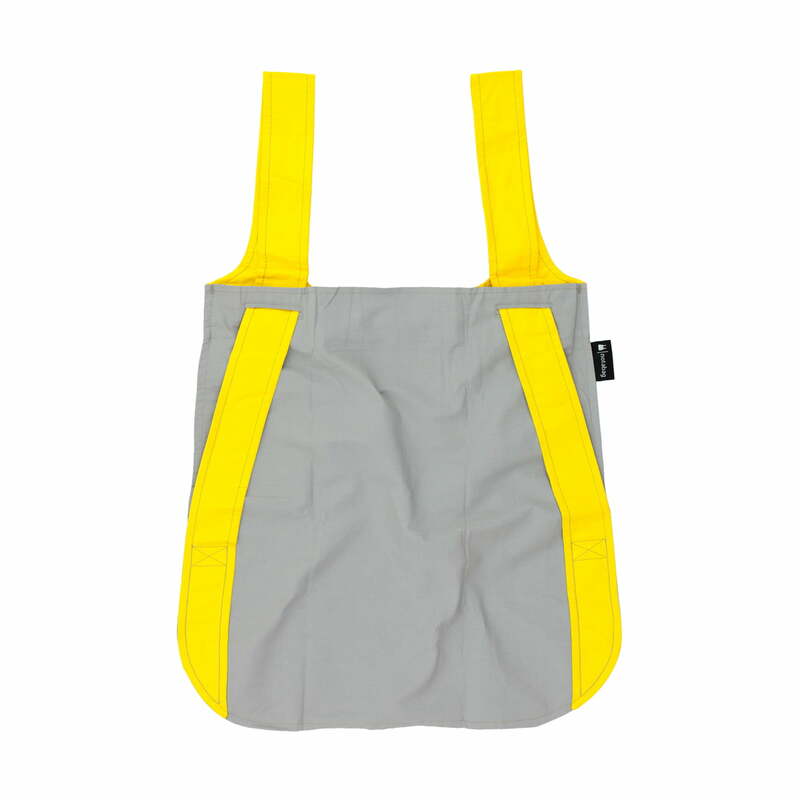 The Notabag is the perfect companion not only for shopping, but on the way to school, sports, swimming or other activities. In 2012 Adnan Alicusic designed the Notabag and thus proved that even the most popular everyday objects need a facelift from time to time. 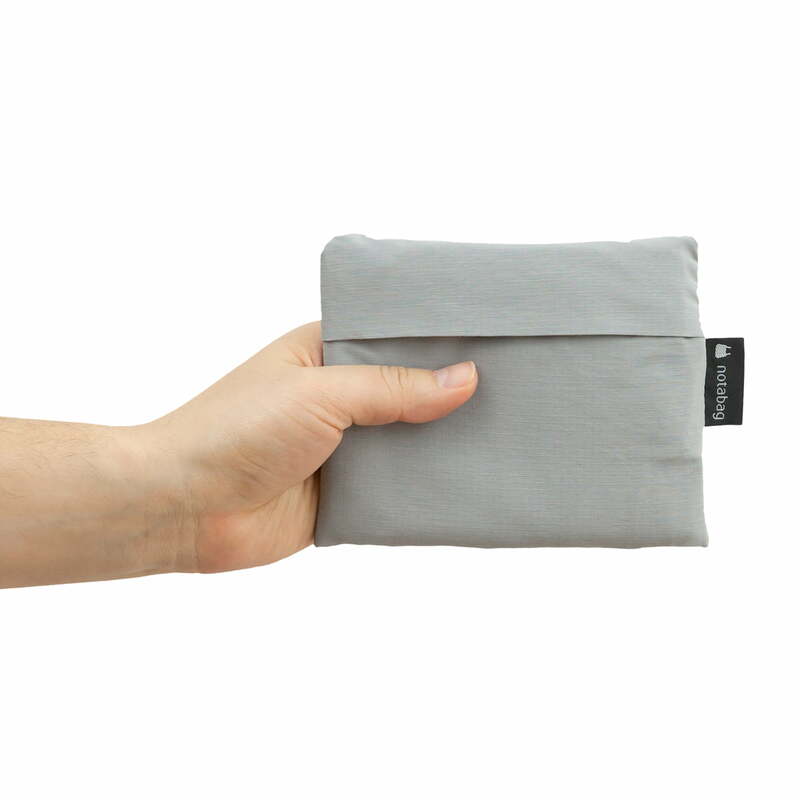 “The Notabag idea was born during a trip to the local farmers market. It was one of those situations that many can identify with: the grocery bag filled up very quickly and I still had to ride my bike home. That’s when the real “fun” began. Things got pretty tricky once I found myself in the middle of busy city traffic. I was trying to maneuver my bike, while having a heavy shopping bag on my handlebar bumping against the front wheel. I couldn’t help but wish that I had my backpack with me, or that at least I could carry my shopping bag over the shoulders. At that moment, I started visualizing how a simple bag could be transformed into a backpack.” explains Adnan Alicusic. The clever design by Adnan Alicusic was nominated for the German Design Award 2016. The German Design Award honours special futuristic ideas.